Two month ago today a German tourist died in a gondola besides the Rialto bridge. 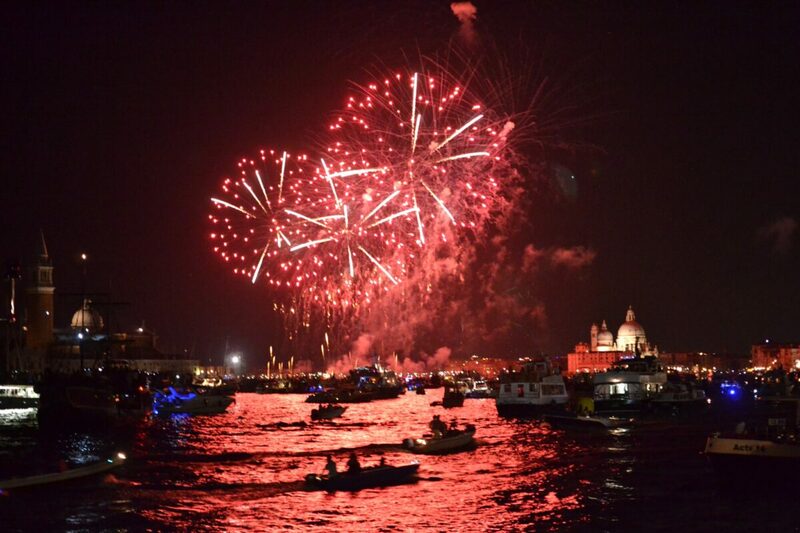 The city administration announced a plan of 26 points which should bring some order to traffic on the Canal Grande. These included separation of traffic, so cargo boats could only work until around 10.30am, while the gondolas could only work after; platforms and moorings were to be removed; taxis couldn’t pass the Rialto when not on turn; tourist caravans of taxis or gondolas would be limited; and many other changes. The general idea was that everybody would have to give up something for the common good. The common good does not exist in Italy, however. Even if the city had made agreements with the gondoliers and with the (city owned) public transport company ACTV, in the end almost everybody has renounced the plan. The cargo haulers object to the time limits and say they will have to work from 4am to be able to deliver the goods within the limits, and even then it won’t work because many shops open later in the morning. The taxi drivers object to the restrictions on speed (apparently they actually want to be able to go faster than the current 5 km/h limit nobody respects) and to the limits on tourist services for large groups with taxis cruising down the Grand Canal side by side. The taxi drivers are particular enraged by the activation of the ARGOS traffic surveillance system for handing out fines automatically for boats speeding. The gondoliers don’t want their stations moved and don’t want any further restrictions on their working conditions. They also object to having to install a GPS in the gondolas, which will make the gondola identifiable through the ARGOS system, and to having to wear an identification tag so their clients can complain if they feel treated badly. The common ground between these groups are that the existing rules and regulations are sufficient if just enforced, and that the city administration has failed in enforcing them efficiently. The city administration tries to hold its ground against this formidable opposition. In the end it all boils down to a conflict between the interests of the residents of the city, and the interests of the people living off tourists. The residents want more than everything else fast and reliable vaporetto services, so they can get to and from work and other engagements. 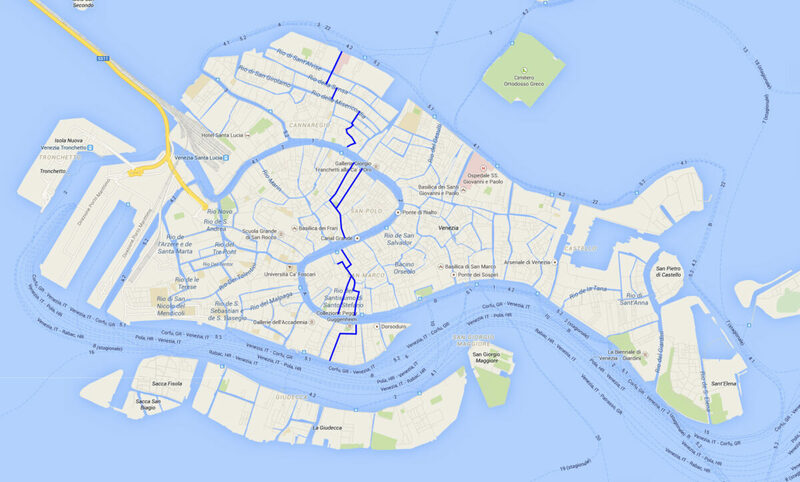 Most residents rely entirely on public transport, because it is almost impossible to keep a boat in Venice. The people who live off tourism want to do everything they’ve done so far with the least possible disturbance from the residents. They’d like to see public transport reduced to a minimum because its in their way. Now, the gondoliers, taxi drivers and cargo haulers are residents too, right? Not necessarily. The municipality of Venice has some 300.000 inhabitants of which only 60.000 lives in Venice proper. That’s 20%. There are further municipalities around Venice with a substantial population, with easy distance of Venice. Many gondoliers, taxi drivers, cargo haulers and other people who work in Venice, don’t actually live there. The same goes for the cruise harbour, which allegedly supplies an income to over 9000 persons, but from what I hear less than 200 of these actually live in Venice. For a lot of the people who makes a living of Venice, the city is little more than a cow to be milked, and as long as it survives their working lifetime, they couldn’t care less how it fares. In fact, a lot of people who see themselves as ‘Venetians’ are with their actions actively killing the city and making it less liveable. Venice will not be dead when the mosaics in the San Marco basilica crumbles, but when the last real residents move away from the city. This exodus as been going on for decades, and it won’t stop unless there’s more focus on the practical needs of the real residents of Venice.